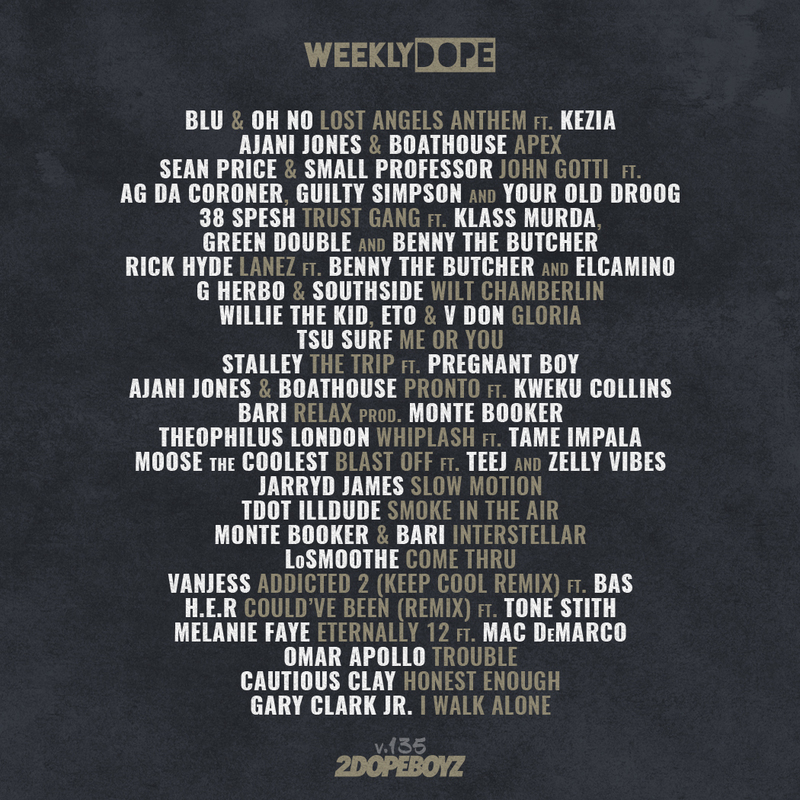 With another seven days in the books, we’re back with the 135th installment of our Weekly Dope playlist. And like I mentioned earlier, from here on out, it’s strictly made up of our favorite songs of the week, instead of a collection of all the songs that dropped. Kicking things off with the first single from Blu and Oh No‘s upcoming album, Ajani Jones and Boathouse keep the energy rolling, before we’re blessed with a verse form the Sean Price. From there, 38 Spesh and Rick Hyde take it to the streets with Benny the Butcher-assisted bangers, G Herbo and Southside are Still Swervin, Willie the Kid, Eto and V Don supplied the raw, and Tsu Surf made it clear it’s either him or you. 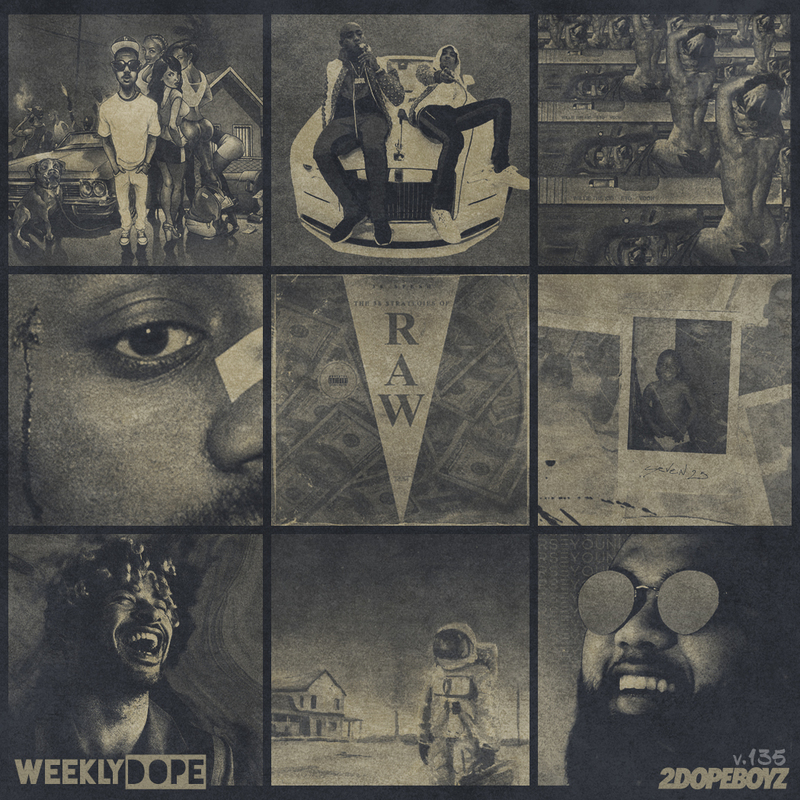 Stalley took a trip with GoDreamer Pregnant Boy; Monte Booker, Tdot Illdude and MOOSE the Coolest got the vibes; and Bas Joined VanJess on a Keep Cool remix. Plus music from H.E.R, LoSmoothe, Melanie Faye, Omar Apollo, Gary Clark Jr, Cautious Clay, and Jarryd James.